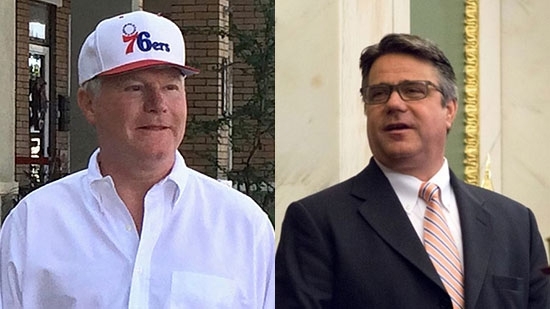 IBEW Local 98 union leader John 'Johnny Doc' Dougherty and Philadelphia City Councilman Bobby Henon were at the top of a federal indictment announced on Wednesday, 1/30, by First Assistant United States Attorney for Eastern Pennsylvania Jennifer Arbittier Williams. The 116-count indictment accuses those involved of embezzlement, fraud, and theft. Also named are Brian Burrows, president of Local 98; Michael Neill, training director of the union's apprentice training fund; Marita Crawford, Local 98's political director; Niko Rodriguez, a Local 98 employee; Brian Fiocca, another union employee; and Anthony Massa, owner of Massa Construction. Dougherty and his associates allegedly stole $600,000 from the union (from 2010 to 2016) and used it for personal home improvement projects, expensive meals, and personal expenses for family and friends. They would change the paperwork to make it appear like legitimate union expenses. Henon is also accused of doing Dougherty's bidding from his council seat. Dougherty and Henon have denied any wrongdoing. All the defendents have a court appearance on Friday and 1:30 p.m. See the indictment here: Full Indictment or read it below. A strong snow squall crossed through the region early this afternoon, 1/30, bringing a burst of up to 1" of snow, wind gusts around 40 mph, and near white out conditions. The snow is being blamed in part for a massive pileup in Berks County. It happened just before 1:30 p.m. in the southbound lanes of Route 222, near the Route 422 Business Exit in Wyomissing. 27 vehicles, including two big rigs, a dump truck, and large box truck were involved. Heavy-duty tow trucks were required to remove the larger vehicles. A Level 2 Mass Casualty Incident was declared for the possibility of up to 25 injured people. 15 people were evaluated for injuries. 9 were taken to Reading Hospital, two are in critical condition. Others were transported to the to the Spring Township Fire & Rescue station. The highway has since reopened to traffic in both directions. Comedian Bill Cosby's spokesman says that the entertainer was targeted by a drone flying overhead while he was outside in the yard at a Montgomery County prison last week. Cosby was sentenced to three to 10 years after being convicted on multiple counts of sexual assault. Cosby spokesman Andrew Wyatt says that a drone was spotted over SCI Phoenix in Collegeville while his client was in the yard. It is believed that a media outlet may have been attempting to take photos of the 81-year-old disgraced celebrity. The facility reportedly went under lockdown after the incident. "The Department of Corrections does not discuss security matters," DOC spokesperson Amy Worden said in a statement Tuesday. "That said, the agency has installed drone detection systems as part of enhanced security measures at its prisons. Flying drones over prisons is against the law and DOC will work with law enforcement to prosecute perpetrators to the fullest extent of the law."